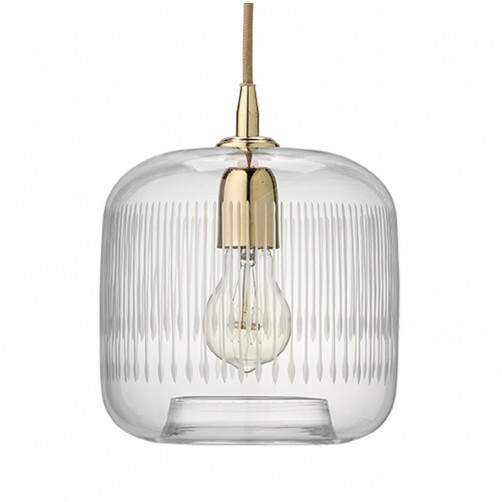 The Contour Pendant is a simple cylinder accented by textured vertical lines. The pendant lamp evokes a classic feel that will cast a picture-perfect glow in the kitchen, bath or entryway beautifully. 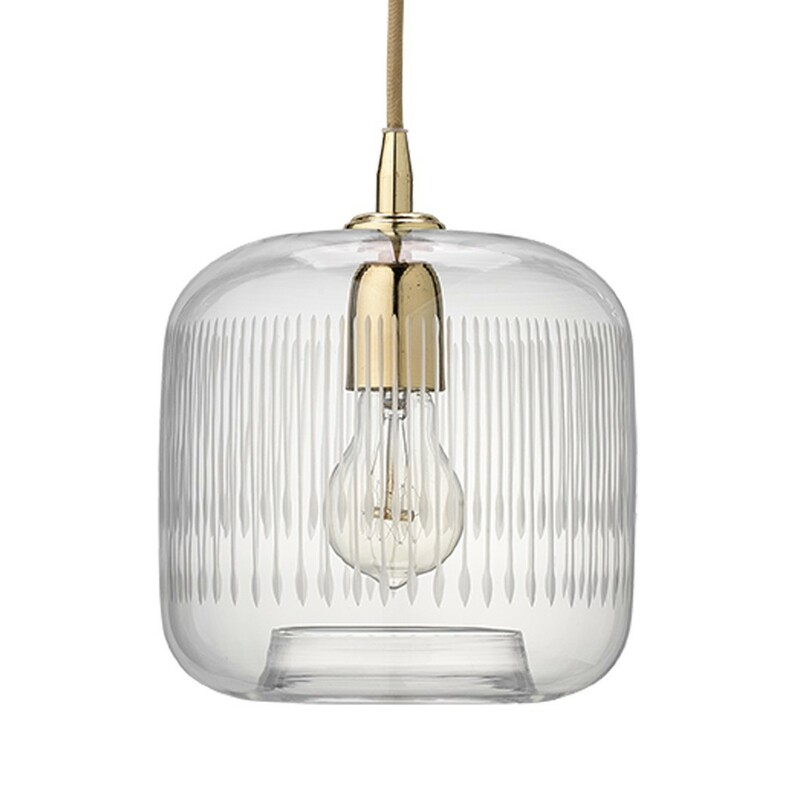 A simple champagne cloth cord compliments the clear glass fixture perfectly. Hardwire only.